SPRINGFIELD, Mo. & SIDNEY, Neb.-Bass Pro Shops and Cabela’s Incorporated (NYSE:CAB), two iconic American outdoor companies with similar humble origins, and with a shared goal to better serve those who love the outdoors, today announced that they have entered into a definitive agreement under which Bass Pro Shops will acquire Cabela’s for $65.50 per share in cash, representing an aggregate transaction value of approximately $5.5 billion. Bass Pro Shops, founded in 1972 by avid young angler Johnny Morris, is a leading national retailer of outdoor gear and apparel, with 99 stores and Tracker Marine Centers located primarily in the eastern part of the U.S. and Canada. Morris started the business with eight square feet of space in the back of his father’s liquor store in Springfield, Mo., the company’s sole location for the first 13 years of business. Johnny’s passion for the outdoors and his feel for the products and shopping experiences desired by outdoor enthusiasts helped transform the industry. 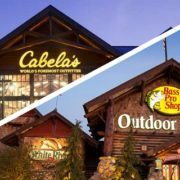 Bass Pro Shops, which employs approximately 20,000 team members, has been named by Forbes as one of “America’s Best Employers.” The company also operates Big Cedar Lodge, America’s Premier Wilderness Resort, welcoming more than one million guests annually to Missouri’s Ozark Mountains. In 1978, Morris revolutionized the marine industry when he introduced the world’s first professionally rigged and nationally marketed boat, motor and trailer packages. Tracker quickly became and has remained the number one selling fishing boat brand in America for the last 37 years running. White River Marine Group offers an unsurpassed collection of industry-leading brands including Tracker Boats, Sun Tracker, Nitro, Tahoe, Regency, Mako, Ranger, Triton and Stratos. This communication does not constitute an offer to sell or the solicitation of an offer to buy the securities of Cabela’s Incorporated (the “Company”) or the solicitation of any vote or approval. This communication is being made in respect of the proposed merger transaction involving the Company, Bass Pro Group, LLC (“Bass Pro Group”) and a wholly-owned subsidiary of Bass Pro Group. The proposed merger of the Company will be submitted to the stockholders of the Company for their consideration. In connection therewith, the Company intends to file relevant materials with the Securities and Exchange Commission (the “SEC”), including a definitive proxy statement. However, such documents are not currently available. The definitive proxy statement will be mailed to the stockholders of the Company. BEFORE MAKING ANY VOTING OR ANY INVESTMENT DECISION, INVESTORS AND SECURITY HOLDERS ARE URGED TO READ THE DEFINITIVE PROXY STATEMENT REGARDING THE PROPOSED TRANSACTION AND ANY OTHER RELEVANT DOCUMENTS FILED OR TO BE FILED WITH THE SEC CAREFULLY AND IN THEIR ENTIRETY WHEN THEY BECOME AVAILABLE, BECAUSE THEY WILL CONTAIN IMPORTANT INFORMATION ABOUT THE PROPOSED TRANSACTION. Investors and security holders may obtain free copies of the definitive proxy statement, any amendments or supplements thereto and other documents containing important information about the Company, once such documents are filed with the SEC, through the website maintained by the SEC at www.sec.gov. 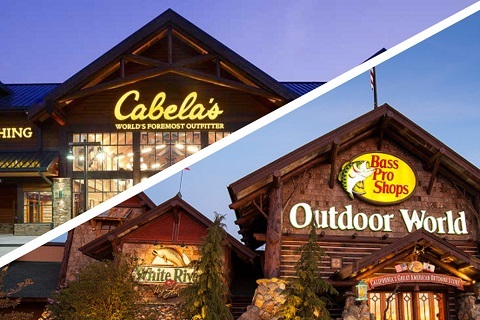 Copies of the documents filed with the SEC by the Company will be available free of charge on the Company’s website at www.cabelas.com under the heading “SEC Filings” in the “Investor Relations” portion of the Company’s website. Stockholders of the Company may also obtain a free copy of the definitive proxy statement and any filings with the SEC that are incorporated by reference in the definitive proxy statement by contacting the Company’s Investor Relations Department at (308) 255-7428. The Company and its directors, executive officers and certain other members of management and employees may be deemed to be participants in the solicitation of proxies in connection with the proposed transaction. Information about the directors and executive officers of the Company is set forth in its Annual Report on Form 10-K for the fiscal year ended January 2, 2016 and Amendment No. 1 thereto, which were filed with the SEC on February 22, 2016 and April 29, 2016, respectively, and in subsequent documents filed with the SEC, each of which can be obtained free of charge from the sources indicated above. Other information regarding the participants in the proxy solicitation of the stockholders of the Company and a description of their direct and indirect interests, by security holdings or otherwise, will be contained in the preliminary and definitive proxy statements and other relevant materials to be filed with the SEC when they become available.